Join us for our bimonthly Networking event! 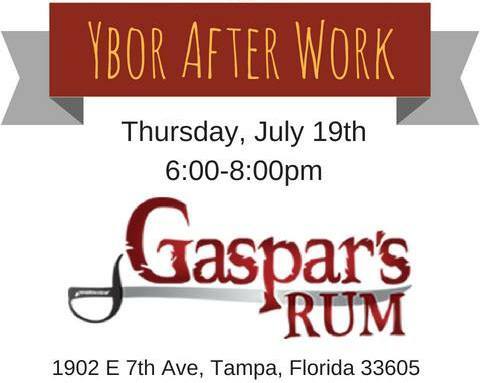 This month we will be at Ybor’s newest distillery Tampa Bay Rum Company, Home of Gaspar’s Rum! We will tour the distillery, get a taste of their beverages and network with other professionals. Lite appetizers will be provided. Don’t forget your business cards!